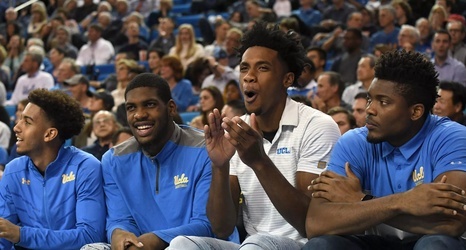 Before the UCLA Bruins tipped off last season, forward Jalen Hill along with teammate Cody Riley and former teammate LiAngelo Ball were taken into custody by state police in China. The Bruins were slated to open the season with a game against Georgia Tech in Shanghai, but Hill and his teammates ran into trouble in Hangzhou before they could even step on the court. Jalen Hill’s career at UCLA got off to a horrible start, but he has the opportunity to right the ship this season. Injuries to key players have opened up a golden opportunity for Hill to produce and he’s certainly going to get some good burn.